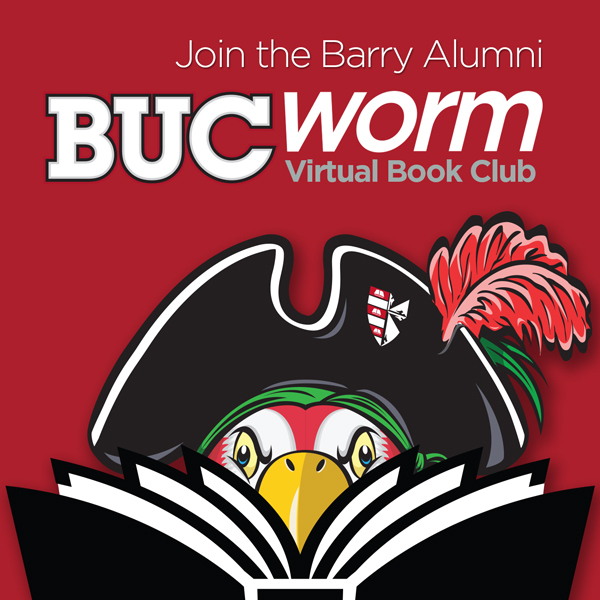 The Barry University Alumni Association is excited to partner with PBC Guru to offer the BUC Worm virtual book club! The Barry community is invited to engage in an online discussion of a book, which the association will periodically select. This is your chance to connect with fellow alumni and stretch those intellectual muscles! Although the group is designed with alumni in mind, all members of the Barry community are welcome including faculty, staff and students! This means you might reconnect with alumni and professors or even forge new bonds with current Barry students! Visit our registration page to sign up and learn more about the BUC Worm book club.